Plans by Britain’s top police officer to tackle racism in the Met and bring in changes to answer community concerns have been greeted with disbelief from some leading black people. Hogan-Howe pledged to “rid the Met” of racist police following a crisis at the Met. It was sparked by an officer, named locally as PC Alex MacFarlane, who was caught calling Mauro Demetrio, a 21-year-old black man “a n*****”. MacFarlane, who was recorded on Demetrio’s mobile phone, has been suspended and charged and his case is among 11 involving police racism being probed by the Met. Hogan-Howe has pledged that the investigation will end in four weeks. * Positive action to fast-track the recruitment of black people into senior police posts using “lateral entry” to hire them. Assistant Chief Constable of Merseyside Patricia Gallan, Britain’s most senior black police woman, who served under Hogan-Howe when he was Chief Constable, has been tipped as a new Deputy Assistant Commissioner at the Met. But Hogan-Howe refused to be drawn on when any of this would be done. Webbe recommended the setting up of a South Africa-style 'truth and reconciliation' type hearing allowing for members of the public and serving black and minority ethnic officers “to share their experiences, only then will he (the Commissioner) understand the extent of hurt felt and the depth of complaints raised”. 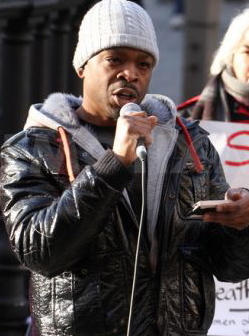 But Merlin Emmanuel, nephew of reggae singer Smiley Culture who died in police custody last year, warily welcomed Hogan-Howe’s plan. "I do not think it would reduce the amount of racism. It might reduce the amount of racially sensitive remarks made in a police van…What we are really about is trying to reduce injuries and any other negative events that might occur in a police van or car when nobody is watching." He added that Hogan-Howe would “have to ensure that the procedures that we (the Met) have can remove racists from the organisation”. It was during this meeting with more than 100 angry Londoners that he revealed he was putting in cameras in police vehicles, as demanded by The Voice and black campaigners. Police watchdog, the Independent Police Complaints Commission (IPCC), said on Monday (April 16) it would ‘closely scrutinise’ how the Met handles racism complaints. The IPCC said it would be reviewing concluded and ongoing complaints where racism had been alleged and would now ask the Metropolitan Police Service to refer to it all cases where racism was alleged, from April 1, 2012. 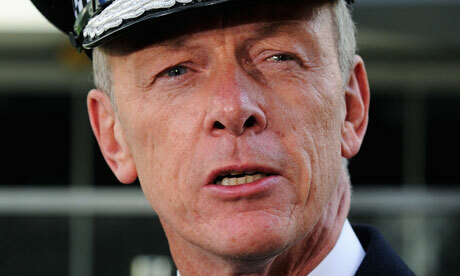 Commissioner Bernard Hogan-Howe has pledged to “rid the Met” of racist police following a crisis at the Met. It was sparked by an officer, PC Alex MacFarlane, who was caught calling Mauro Demetrio, a 21-year-old black man “a n*****”. MacFarlane, who was recorded on Demetrio’s mobile phone, has been suspended and charged and his case is among 11 involving police racism being probed by the Met. Hogan-Howe has promised that the investigation will end in four weeks. Other probes have dragged on for months. Positive action to fast-track the recruitment of black people into senior police posts using “lateral entry” to hire them. Assistant Chief Constable of Merseyside Patricia Gallan, Britain’s most senior black police woman, who served under Hogan-Howe when he was Chief Constable, has been tipped as a new Deputy Assistant Commissioner at the Met. 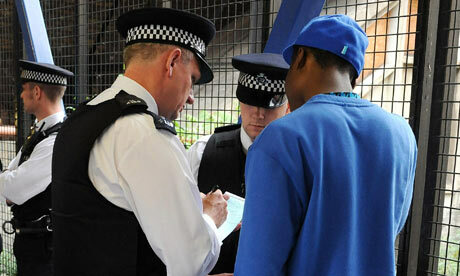 Police watchdog, the Independent Police Complaints Commission (IPCC), said on Monday (April 16) it would "closely scrutinise" how the Met handles racism complaints. The IPCC said it would be reviewing concluded and ongoing complaints where racism had been alleged and would now ask the Met to refer to it all cases where racism was alleged, from April 1, 2012.